One of my favorite FREE Sale-A-Bration items this year is the beautiful Lovely Lattice cling stamp set. The detail in the stamp is truly amazing. If you’ve had your eye on this set, let me entice you a little with a quick note card that you can make. Take a look at the picture below. Start with a Whisper White Note Card. You know how much I love these and the corresponding envelopes. They are just so handy to have in your stash. Next, use Night of Navy ink to stamp the focal stamp from the Lovely Lattice stamp set, as pictured. 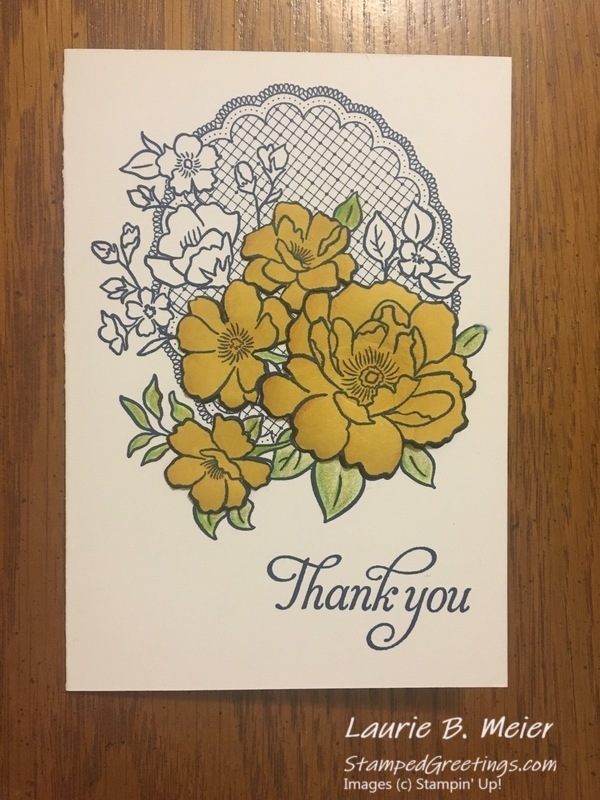 I chose to make my card a Thank You card. Obviously, you can choose from several sentiment stamps to finish the card. 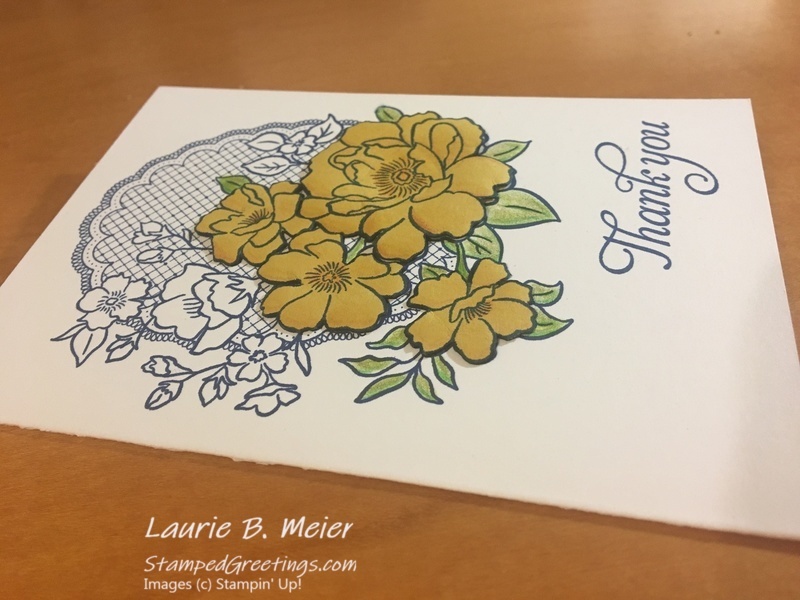 The “Thank You” that I used is from the new and wonderful Humming Along stamp set. Stamp your sentiment on the bottom right corner of the note card using Night of Navy ink. Stamp the focal image one more time with the Night of Navy ink. But, this time, stamp onto a piece of Crushed Curry card stock. Grab your Watercolor Pencils. Choose a few of the flowers on the stamped Crushed Curry piece to color. 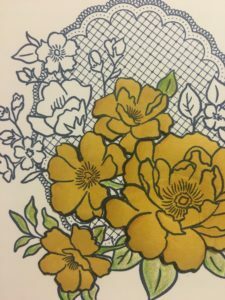 To highlight the flowers, color the leaves for those flowers on the Whisper White note card base. For the leaves, I used the Old Olive and Daffodil Delight Watercolor Pencils. 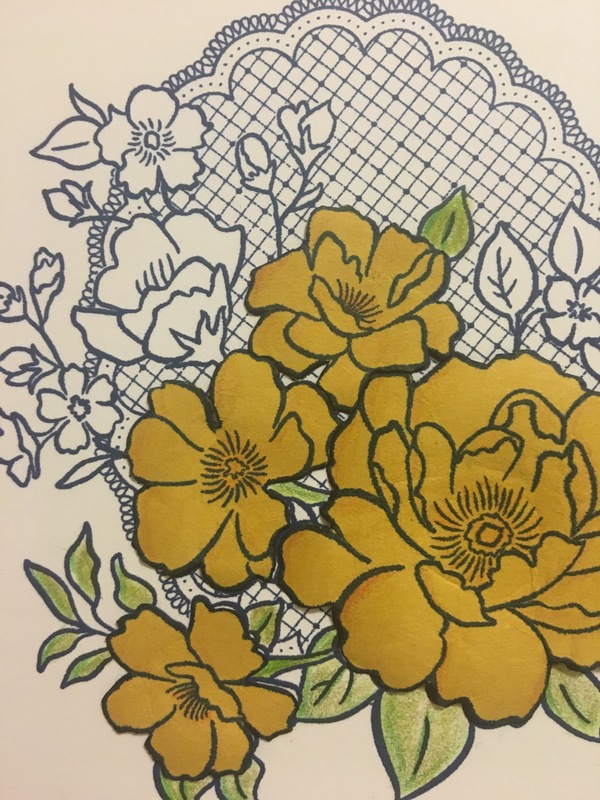 To highlight the flowers, I used the Daffodil Delight, Calypso Coral, and Pumpkin Pie Watercolor Pencils. 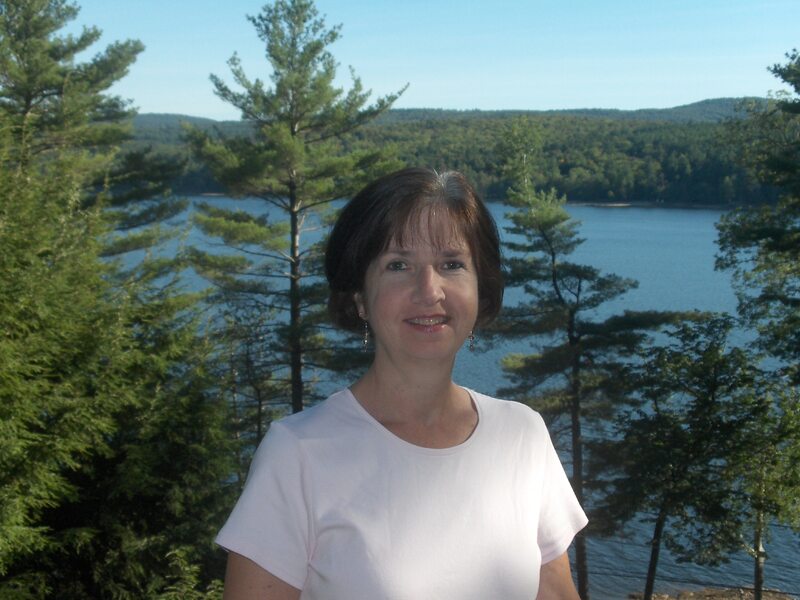 Fussy cut (yeah – I know this may not be your favorite thing to do – but, it’s worth it!) the flowers from the Crushed Curry card stock. Use the Night of Navy Stampin’ Write Marker to add ink to the edge of the cut out flower. This trick will make your flowers look more finished. Tip: Hold the flower so the stamped image is facing away from you when you add the color to the edges. Use your bone folder to add a little dimension to the flower petals. Use the same kind of motion with your bone folder as you do when you’re curling ribbon with the edge of scissors. Attach the cut, curled flowers to the card base with dimensionals. You’ll love the finished card. It is simply elegant with a little pop of color and dimension. Try other colors of card stock for the cut flower images!